Clearly the best for VoIP! 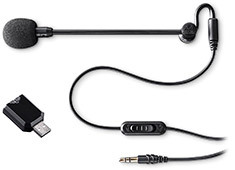 The clever design of ModMic Business makes this an ideal option for office or home calls. Install the ModMic Business to your favourite headphones and be amazed at the audio quality in every meeting or interaction.